Does your parrot high tail it out of town when a towel is in sight? More than likely it means at some point in his life something scary happened with a towel. Perhaps your bird had to be captured and restrained for a medical emergency. In a moment like that your veterinarian may have to take action right away. However if your bird is healthy and not in need of immediate medical attention consider taking some time to train your parrot to LOVE towels. I say love because my birds have become obsessed with them thanks to some positive reinforcement training. I also take advantage of this time to do things a veterinarian might need to do. These include wrapping her in the towel and moving her. It also means feeling her chest, looking at her vent and stretching out her wings. I also trim her toe nails when she is comfortably resting on her back on the towel. To her it is all fun. I sometimes incorporate foot toys for her to juggle with her feet and beak. To me this is what it means to play with your bird in a towel. An important part of this is that she is empowered to leave if she wants to. You’ll notice she sticks around for more. That is a good sign. A skilled flyer like her will just leave if the activity is not to her liking. Having Blu Lu trained for toweling gives me peace of mind. I feel confident we have a good chance of keeping her next vet visit super positive. 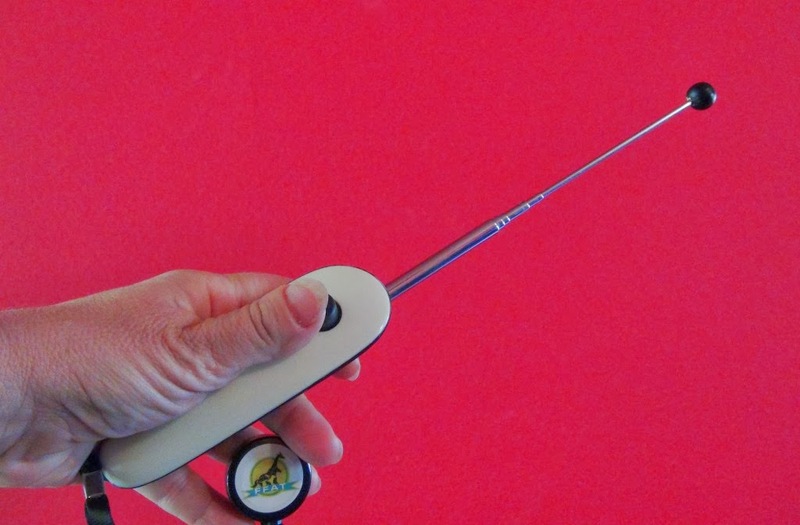 To help you get inspired to train your parrot for a medical behavior I have a very special gift for readers of this blog. 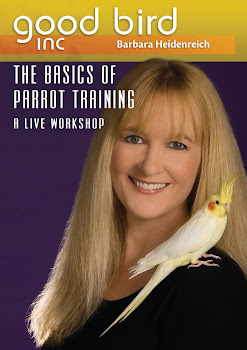 Just click on "free parrot training resource" and enter the code PARROTRX when you check out. 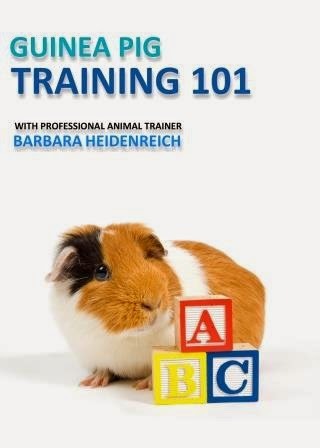 It should let you get a free eBook on how to train your parrot to take oral medication. Every parrot owner should train their birds for this behavior before illness strikes. It is an easy behavior to train and will avoid you having to grab and restrain your bird to give medication, which can cause your bird to lose trust in you. Train this behavior ASAP…you will be glad you did. This Parrot Talks on Cue! I recently received a link to a video that made me grin ear to ear. I absolutely love it when people watch one of my DVDs, read one of my books or an article I wrote and apply the information at home. A teacher’s greatest reward is a successful student. And the students of the day are Einstein the Texan Talking Parrot and her caregiver Marcia! You may know them from my latest DVD Train Your Parrot to Talk. Marcia, Jeff and Einstein the African Grey Parrot all graciously agreed to appear in the DVD. In the DVD Marcia and Jeff shared their experience of living with a very gifted talking parrot. Einstein also lends her vocalizations to the accompanying CD ROM of talking parrot recordings. I have known Marcia and Jeff for a few years now. One thing they had not yet spent too much time on was putting Einstein’s many vocalizations on cue. After receiving their copies of the Train Your Parrot to Talk DVD they went for it. And I am over the top excited for them. Check out this clip of Marcia demonstrating all the things she has already put on cue. This was all within a few weeks of the DVD coming out. You go girl! I love the "where's the mouse" behavior. Awesome cue! 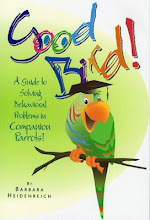 If you have had success using the Good Bird Inc resources to train your parrot, drop me a line and tell me about your experience. I really do love hearing what you are doing with your parrots at home. Take some video and a few pictures too. Your story could end up in Good Bird Magazine and you and your parrot can be an inspiration to others. Just like Einstein. My yellow naped amazon parrot Delbert was in the mood to sing this morning. He pretty much is every morning, but today I quickly set up a video camera to capture a few of his songs. Here they are. Enjoy! Go See a Bird Show! What luck! This morning there just happened to be a Bird of Prey demonstration just a 5 minute drive from my house. This show was presented by Last Chance Forever a raptor rehabilitation and education organization. I have seen these folks before and am always impressed by their excellent training skills. I enjoyed watching all the flying. It took me back to my bird shows days. But the best part for me was the caracara doing the infamous dollar bill trick. I have seen various parrots and corvids do this behavior, which is basically a retrieve, but never a caracara. As the presenter said they are not quite a hawk, not quite a falcon and not quite a vulture. They seem to be a combo of all of the above. Really cool bird in my opinion. 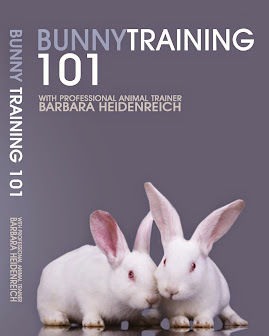 Of course the presentation was meant to educate a well as awe and I was thrilled to see my non animal trainer friend who was with me was totally into it. It is one thing to hear about birds, or watch them on TV, but once you have had an up close and personal experience it really can give you a deeper appreciation for animals in your home and the wild. I hope the video clips give you a little taste of the experience. Go see a bird show if you can! It is raining feathers in my house. I am so excited to report that Blu Lu the Blue Throated Macaw from the Bird Endowment is molting. That may seem like a silly thing to celebrate. Let me explain why I am so happy. Blu Lu had a rough start in life. She was rejected by her parents. This meant she likely did not get fed as frequently or as much as she needed during those critical early weeks of development. When baby parrots miss feedings, become ill or are otherwise compromised it shows. One place where it becomes very evident is in their feathers. What is often observed when conditions are poor and a feather is growing in is what is known as a stress bar. The bar is a line that is visible across the feather. This line represents a weak spot in the feather. Without adequate nutrition the feather did not development properly at that spot. The drawback to stress bars is that the feather is very vulnerable at this line. Many feathers break at the stress bar. Tail feathers and primary feathers (wing feathers) need the support of surrounding feathers to grow successfully. Without support they too can break. Blue Lu did break a few tail feathers close to the base of her tail due to stress bars. And it will be important to keep an eye on her new growing tail feathers. New feathers initially have a blood and nerve supply. If one of the growing feathers were to break it could bleed and be painful. In most cases a little pressure can stop the bleeding, but if you are unsure what to do when a blood feather breaks, I do highly recommend you visit your avian veterinarian. You can find an avian at The Association of Avian Veterinarians website. Fortunately once she was rejected by her parents Blu Lu was well taken care of by caring humans and her feather growth from then on improved considerably. However this first molt is a welcomed one. It means she will soon have a brand new set of very healthy feathers. Just one single broken flight feather can dramatically effect flight skills. It is often a matter of pride for many professional bird trainers that their birds are in perfect feather. It is a reflection of excellent care. Blu Lu is already pretty stunning. But I can’t wait for her new spring wardrobe! Blu Lu the Blue Throated Macaw from the Bird Endowment has been making more progress. She is quite comfortable wearing a harness and her flight skills are superb. Another important part of her education is training her to be comfortable in new environments and with new people. This means at this stage it is important for her to get out and about. In this video clip you get to see Blu Lu’s first trip to the Post Office. I chose the Post Office because it is close to my house and it has plenty of room for me to move Blu Lu farther away from new people or objects if she feels uncomfortable. It was also pretty quiet that day since it was a Saturday. Just like lots of parrot training goals, I broke this down into steps or approximations that Blu Lu can accomplish easily. I have been building upon each successful session. The post office visit was short with few distractions. The next trip was longer with more people. The next visit was to a new location. By keeping each session as positive as possible I can make it more likely Blu Lu will enjoy visiting new places in the future. Since the video she has also visited a hardware store, the bank, the offices of the company that publishes my magazine (Good Bird Magazine) and has traveled frequently in the car. It does take some work to bring her with me, but it is important to my training goals for her. Blu Lu is an ambassador for her species. If she is comfortable with new places and new people, she can visit lots of folks and help educate them about the plight of Blue Throated Macaws in the wild. The more comfortable she is with changing environments, the easier it will be for her to adapt to a new one she has never seen before. This means if there is a last minute call to visit a group of school children, we don’t need to panic. She will be ready for the visit. This same type of training can be useful for helping companion parrots be comfortable with travel for a visit to your avian veterinarian or if your bird might need to be boarded sometime. Hope the video gives you some ideas for you and your parrots.